CRM vs. ERP: Which Software is Right for Your Manufacturing Business? Manufacturing companies today face fierce competition. Thanks to the internet, your competitors are no longer just a handful of local companies whose names appear next to yours in the phone book. Instead, every company can create a website to showcase their products, allowing them to receive orders from customers all over the country — or even the world. Boosting efficiency is an excellent way to help your business succeed in this hyper-connected environment. But how can you achieve this? 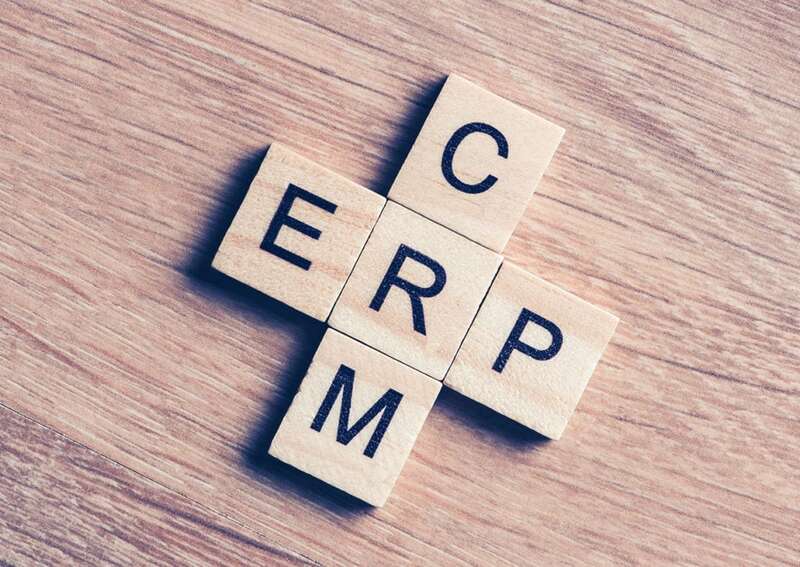 Customer relationship management (CRM) software and enterprise resource planning (ERP) software are both great options for helping manufacturing businesses streamline their operations. However, these software solutions have different capabilities, which can lead to confusion about which one your business actually needs. To determine which software option will most benefit you, consider the core purpose and benefits of each one. If your business is thinking of implementing a CRM or ERP, here’s what you need to know. CRM software plays a key role in helping businesses manage their prospective customers. These systems allow businesses to track the leads coming in through various channels and monitor their progress through the sales funnel. Sales reps can use a CRM to identify which leads need to be followed up with and record notes on these conversations. Once a lead has made a purchase, the purpose of the CRM software shifts to helping the company manage its ongoing relationship with the customer. Successful manufacturing businesses know the value of securing repeat customers and making sure they are consistently satisfied with your products. CRM software can be used to track customer preferences, feedback, and interactions, which helps businesses continually refine their ability to meet each customer’s needs. The true value of CRM software lies in its ability to improve efficiency across the customer-facing side of the organization. All teams can access important customer data in a centralized location. This improves communication between teams and leads to an improved experience for the customer. For example, marketing and sales strategies become more personalized when employees can access detailed information about a customer’s history with the company. Similarly, those working in customer service can resolve issues more effectively because they have a better understanding of events preceding the issue. When should you implement CRM software? There are a few telling signs that a manufacturing business may need CRM software. If any of these scenarios are familiar to you, it’s time to seriously consider making the investment. Manufacturers receive sales leads through a number of different channels, including word-of-mouth, website inquiries, and pay-per-click ads. To maximize your marketing budget, it’s important to track how each of these channels performs. CRM software makes it easy to record the source of each lead and run summary reports on the data. These insights can help to inform your marketing strategy, allowing you to focus on areas that bring in high-quality leads. Many CRM systems also offer features to help with email marketing, like built-in email campaign functionality and integrations with email marketing software like MailChimp. As leads come in through different marketing channels, it’s essential to qualify them. Lead qualification refers to the process of assigning a rating to each prospect based on their likelihood of purchasing. This process is particularly important for small manufacturing businesses — when every dollar counts, you want to focus your efforts on the hottest deals. With CRM software, sales reps can develop a standardized method for qualifying and filtering leads. They can also track each lead’s journey through the sales funnel, along with their responses to various touchpoints. Over time, this data can be used to optimize the sales process across your whole team. To build customer loyalty and drive repeat business, you want to provide each customer with a personalized experience. However, this is challenging to accomplish if you aren’t aware of each customer’s history with your company. CRM software that integrates with your accounting software gives you a complete picture of each customer, from past conversations to overdue invoices. Having all of this data in one convenient location ensures that all customers receive seamless service across all departments. Furthermore, the visibility into past purchases allows sales reps to proactively reach out about repurchases or other products of interest. ERP software offers an integrated solution for improving efficiency in the non-customer-facing aspects of a business. These systems ideally help companies improve their bottom line by minimizing redundancies and data silos. Manufacturing businesses use ERP software to track what has been ordered by whom, along with when and how the orders will be fulfilled. As a result, the software typically includes workflows related to production, quality management, picking, packing, and shipping. This integrated approach is beneficial for companies with multiple facilities or warehouses, as it lets them coordinate activities across locations. ERP software also encompasses a number of back-office activities like accounting, human resources, and purchasing. Some systems even offer basic customer management functionality, though not on the same level as a true CRM. Similar to CRM software, when an employee enters information into an ERP, this information is visible to other departments with access to the system. This helps different departments work efficiently and cohesively, which ultimately reduces errors and boosts revenue. Many ERPs also monitor the information that is entered so that if a problem arises, an alert will go out to all affected departments. This helps organizations to respond to issues more quickly and better anticipate future challenges. When should you implement ERP software? ERP software is inherently complex and the reasons for implementing it will vary from business to business. However, here are a few scenarios that might prompt a manufacturing company to seek out an ERP. Coordinating activities in a product-based business can be challenging, particularly if more than one location is involved in the process. Poor communication between locations and inefficient processes can result in considerable lost revenue. ERP software helps manufacturers meet demand as their business grows by centralizing production scheduling, inventory management, and supply chain management in one system. Manufacturing businesses have a lot of moving parts in their day-to-day operations. As a result, they can lose a lot of time and money by entering data into multiple systems that don’t communicate. One of the greatest benefits of ERP software is its ability to minimize or eliminate redundant processes. Since a typical ERP encompasses many different business functions, it allows the various departments in a company to share information efficiently. The end results are streamlined operations, more consistent procedures, and greater cost savings. As your business grows, you may find that your ad hoc systems for human resource management are no longer cutting it. ERP software offers the ability to manage recruiting, payroll and the employee lifecycle alongside your core manufacturing operations. This allows for improved visibility into how your business is functioning as a whole. Both ERP and CRM software can offer tremendous benefits for manufacturing businesses, including improved efficiency and increased revenue. In both cases, these benefits are achieved by centralizing essential data and coordinating key business functions. However, these two types of software are not interchangeable. Before implementing either one, consider what pain points you want to solve. By thoroughly analyzing your processes and needs, you can identify which software option will help your business move forward.